Welcome to Tathra Beachside. 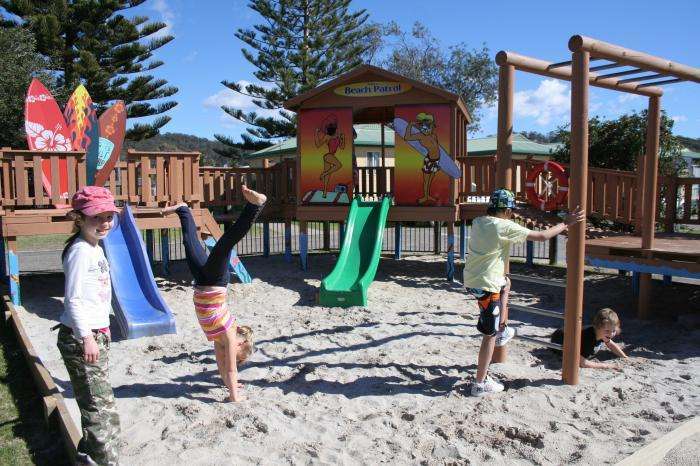 Our multi award winning "little park with the big heart" fronts over 500 metres of absolute beachfront, in the gorgeous seaside town of Tathra on the beautiful Sapphire Coast. This stretch of coast has been recognised as Australias Coastal Wilderness for its unspoilt landscape and absence of crowds. 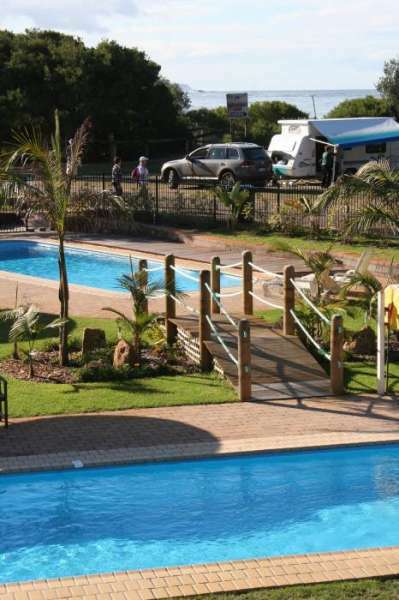 The park offers guests a diverse range of accommodation options to suit all needs and budgets, from luxury 3 bedroom beach houses to shady, grassy camp sites and everything in between. We spoil our guests with immaculately clean facilities. Most impressively Tathra Beachside now offers a serious water park to delight the young and the young at heart. Tathra Beachside promises to deliver your family a fun filled holiday experience, where memories made last a lifetime. Bring your best friend and stay in a pet friendly cottage for only $160 per night. (Minimum three night stay). BEACH HOUSES state-of-the-art 3 bedroom, spacious beach houses are located metres from the sand and offer everything you could possibly need for that perfect family holiday.They also provide full wheelchair accessibility and features throughout..........SURF VILLAS Light and airy 2 bedroom fully self-contained villas, all with a large deck to enjoy the sea breeze. 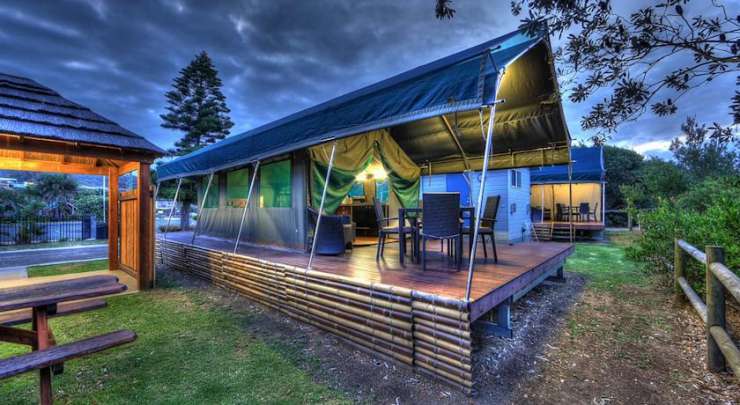 Located only a few steps from the beach..........SAFARI TENTS Glamping on the beautiful Sapphire Coast has arrived. 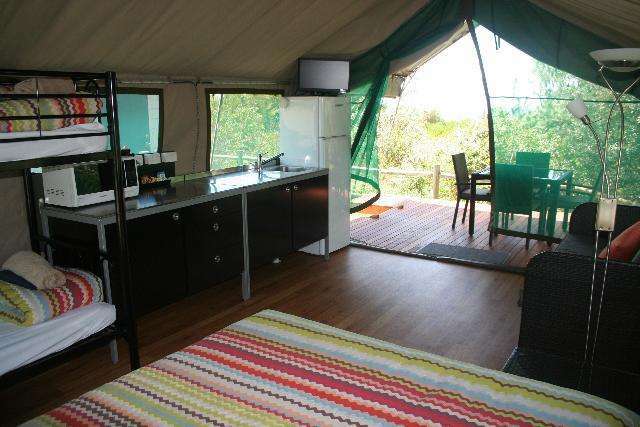 Our 4 luxury beachfront, studio style safari tents provide you with the fun experience of camping with the added bonus of the little luxuries..........PET FRIENDLY COTTAGES We now offer 4 pet friendly two bedroom cottages complete with large decks for alfresco dining, enclosed gardens and kennels only metres from the beach. We understand that your pet is part of your family too!..........BEACHSIDE EN SUITE SITES Large caravan site with astro turf, concrete slab and private ensuite, situated along the beautiful Tathra Beach front and backing into the sand dune..........EN SUITE SITES Our brand new modern ensuites are located on large, grassy powered sites and are suited for all type of campers. Perfect for large family tents, camper trailers, caravans or motorhomes. Less than 50 metres to the beach track..........CARAVAN & CAMPING SITES Powered sites for all sized caravans, motorhomes, camper trailers and tents. With power, water, access to free wi-fi. Level sites close to all the park facilities and all within a short stroll to beautiful Tathra Beach.HOBBS CORNER A quiet, separate campground located 500m from the main caravan park, and nestled in a bush setting, opposite Tathra Beach and the Surf Club. With the skate park and adventure playground less than 100m away, Hobbs Corner provides 32 lush grass powered sites with its own amenity block. 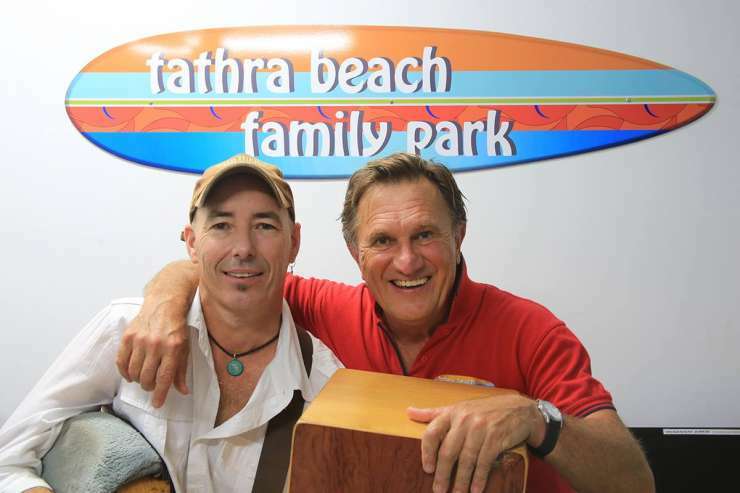 All facilities at Tathra Beachside are available to Hobbs Corner guests free of charge including Big Splash Waterpark. Hobbs Corner is available for camping during Christmas and Easter holidays.